Halloween is only 5 days away and occurs on a Tuesday this year. Many are having their parties this weekend starting on October 26th. The next time this costume holiday will occur on a weekend is the year 2020. We have some music lined up for you to check out during your fright night parties. DJ Reddy Rell and DJ Iceberg are back just in time for the candy corn festivities with another release for you. 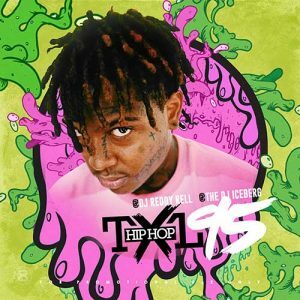 Volume 95 of the “Hip Hop TXL” series is jam packed with a 69-track playlist. New songs on this installment by Offset, The Game, Young Dolph, O.T. Genasis, Tyga, Shy Glizzy, Metro Boomin, J Crvze, Fetty Wap, Lil Yachty, Young Thug, Gunna, Travi$ Scott, Juicy J, G-Eazy, Cardi B, Velous, Money Man, Yo Gotti, Cocaine Mail, YG Hootie, Giggs, Baka Not Nice, Lil Durk, and so much more. DJ Mad Lurk is back returns to the scene to to give you another edition of the hottest music currently out being played on digital devices everywhere. 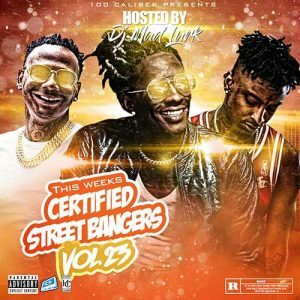 He drops part 23 of the collection labeled “This Week’s Certified Street Bangers”. 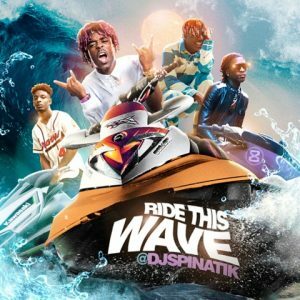 Check out tracks by Yo Gotti, NBA YoungBoy, Gucci Mane, YBN Nahmir, Lil Baby, Marlo, Mac Dee, Key Glock, Juyst Cruze, Rich The Kid, Bobby Kritical, Eminem, Mulapopbitch, Chadd Papi, Prodiga, Maxo Kream, Doe Boy, Trill Sammie, and more. DJ L-Gee teams up with Kingz Ink graphics to bring you another r&b release. The 24th edition of the “Lucky Nights” series gives you a playlist of new music from Ty Dolla $ign, YG, PARTYNEXTDOOR, Rick Ross, Drake, Sammie, Adela, Fat Joe, Fabolous, Busta Rhymes, Vybz Kartel, LA Leakers, Eric Bellinger, Liya, Mally Staks, Jeremih, Brooke Valentine, A Boogie Wit Da Hoodie, Robin Thickie, and many other popular musical acts in the recording industry. You can tell by how professional the artwork is for this release that you will definitely want to check out Kingz Ink to have graphics done for all your mixtapes. DJ Spinatik is back in the game with another product for the streets. This down south Disc Jockey brings you a release titled “Ride This Wave”. Look for music on this product from Lil Uzi Vert, Yung Dred, Kap G, Hoodrich Pablo Juan, Smokepurpp, Tee Grizzley, 21 Savage, Kodak Black, Lil Yachty, D.R.A.M., Young Type, Trippie Red, Post Malone, Young Slim, Reggie Mills, Kendrick Lamar, Lil Pump, and many others. 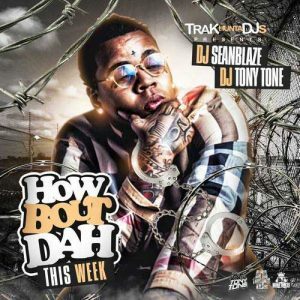 Finally, comes a drop from DJ Tony Tone and DJ Seanblaze. These two team up to bring you a title labeled “How Bout Dah This Week”. Southern emcee Kevin Gates makes the cover for this release. Other music artists appearing on this product include Kid Red, Quavo, Takeoff, Jay Lewis, Gee Money, Bambino Gold, Young Scooter, OJ Da Juiceman, Lud Foe, Johnny Flex, Jay Gudda, CTMG King, T James, Starface Freckles, Mista Cain, Johnny Rocket, and many more rap lyricists. Be sure to take care of the little ones this Halloween because it is all about them. If you are cuffed up with a significant other, now is the time to throw on a horror flick and enjoy yourselves. Everyone have a safe All Hallows’ Eve this year!